Discussions during the conference are geared towards research solutions collected through eight sessions: anaerobic metabolism; wetland and aquatic ecology; rice responses to flooding and progress in breeding; ecophysiological adaptation to flooding; interaction of flooding with other abiotic stresses; hormonal interactions during flooding; low oxygen sensing and signaling; and water-logging in upland crops, physiology, and breeding. An exciting array of scientific findings from different corners of the world is lined up for each of these sessions. Speaking at the opening ceremony, Dr. Zeigler stated that “IRRI prides itself in working with the best scientists around the world.” He believes in a ‘convenient convergence,’ that overcoming constraints that poor rice farmers face today will prepare the world for future climate change. “With a global set of partnerships, systematic application of science can make a difference,” he adds. For discussion in this year’s conference are future challenges in flooding research, including: flooding as a compound stress, oxygen levels at subcellular levels, stagnant flooding, cysteine oxidation and oxygen-sensing, N-end rule dependent and independent regulation, learning from nature, and mechanisms of priming. Also in a keynote speech, Achim Dobermann, IRRI deputy director general for research, mentioned that science and technology plays a leading role under the United Nations’ goals for the post-2015 sustainable development agenda and that scientists should participate in the process by drafting technology road maps, monitoring performance, doing problem-solving R&D, and sharing knowledge. Dr. Dobermann is a member of the Sustainable Development Solutions Network. Abdelbagi Ismail, ISPA international conference director, was responsible for bringing the ISPA conference to IRRI. 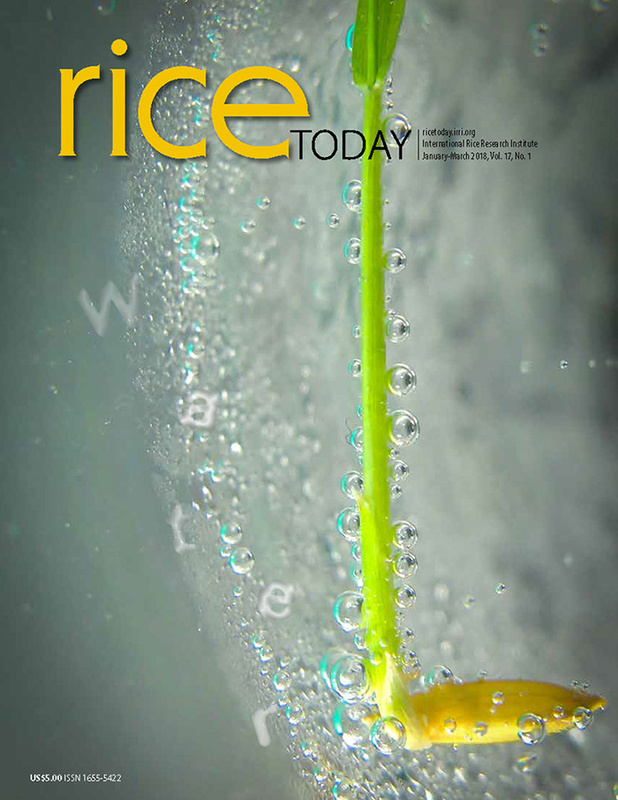 Dr. Ismail works on abiotic stress tolerance of rice in ecologies frequently challenged by flooding and salt stress. His work has brought him in close collaboration with other scientists studying plants subjected to oxygen deficiency as a result of flooding and submergence. He has been a member of the ISPA executive committee since 2001. ISPA conferences are held every three years. The 2010 conference was held at Volterra, Italy. Details about the next conference will be determined at the ISPA general assembly on the last day of the current conference.